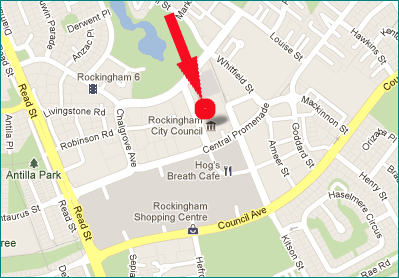 Welcome to the Family History Society of Rockingham & Districts Library. We have a wide range of books, CDs, DVDs, microfiche and journals, as well as computers with Internet access. In addition, vouchers are on sale for ScotlandsPeople. Members of the Society located and recorded the names of over 26,000 children, 900 teachers and 44 schools in the Rockingham, Kwinana and Serpentine-Jarrahdale localities. The data covers 1830 to 1970 and was transcribed from school admission and attendance registers, journals, books, Education Department files and oral contributions. If your family was part of early Rockingham, Group Settlers, workers in Jarrahdale’s timber industry, Oakford’s dairies or the heavy industry of the Kwinana ‘strip’ during the 1960s, you may find what you are looking for on our Schools Records Project database on a computer in our Library. Download a copy of our current library Catalogue. It is grouped and sorted by country - state or county - subject - asset type - title. 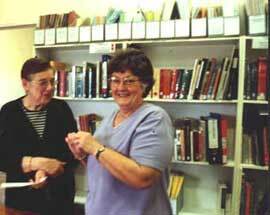 Books may be borrowed from the library by members only, for a period of no more than four weeks. Any resource marked NFL (Not for loan) may not be removed from the library. Note: Standard library conventions and etiquette apply in our library.